That’s the voice. The voice that can transcend a mental state. The voice that can transform the individual from any emotion to introspective reflection in one line. The voice and the sound that you tune to because you need to, not because you want to. 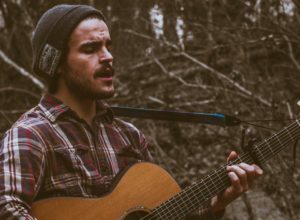 Isaac McClung is an indie/folk act from Stillwater, Ok with a soul much older than his age. Isaac approaches his writing and performance with a sweetness, an innocence in his voice that combined with such dark and brooding lyrics it gives you pause to stop and truly listen to the heart of the matter.